The car on display in Ken’s collection is 1 of 91 built. Oldsmobile produced 4296 4-4-2 convertibles in 1969, 121 came with the W-30 upgrade only 91 of which had four-speed transmissions. 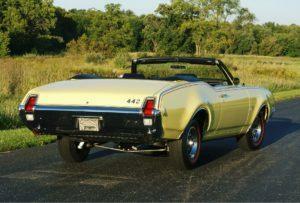 With the exception of this car, it is not known how many others are still in existence. Considered to be undoubtedly one of the finest 4-4-2 examples in the country, Ken became only the fourth owner of this spectacular and rare Oldsmobile when he acquired it from the prestigious Milt Robson collection. 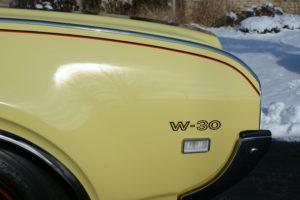 Finished in dazzling Saffron Yellow paint with Black stripes and fitted with a 360 hp, 400 cu. in. 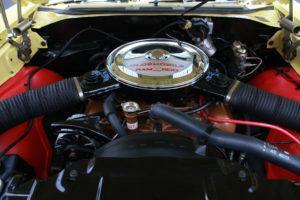 V-8 engine with 10.5:1 compression, four-barrel carburetor, four-speed manual transmission, dual exhausts (hence the 4-4-2 designation), independent front suspension with A-arms and coil springs with four link and coil springs at the rear, police duty front discs with rear wheel drum brakes, the car is in better than new condition. 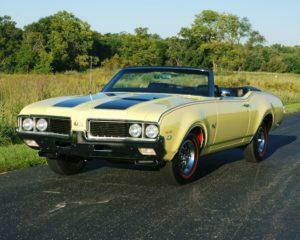 The fully documented history of the car has John Kasdorf purchasing it new off the Story Oldsmobile showroom floor in Lansing, Michigan for $4,203.69, which included the optional close-ratio four-speed manual transmission ($184.80), power steering ($100.05), Super Stock II wheels ($73.72), deluxe pushbutton radio ($69.51), tinted glass ($38.97), sports console ($61.09) and W-30 package ($263.30). 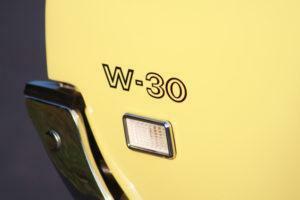 Mr. Kasdorf kept the W-30 for 37 years before selling it to Dave Conway, who oversaw the restoration. The honestly spectacular full frame-off show quality restoration rendered the car to better than showroom condition. Preparation and paint on the chassis are excellent, although the bottom is painted body color instead of the factory black. 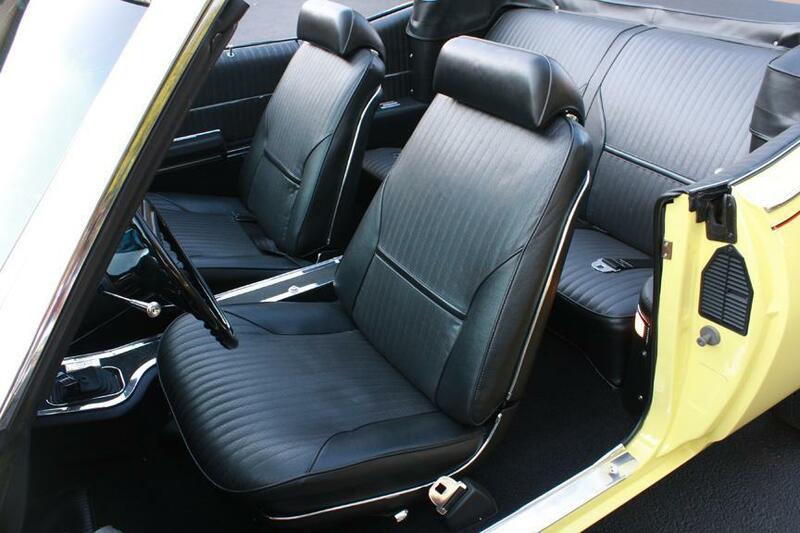 The cleanliness of the underside suggests the car has been driven only sparingly since the restoration and remains in excellent overall condition inside and out. Gaps between panels are commendable, with all doors shutting solidly and panel fit excellent throughout. All stainless trim was repaired and polished beautifully, and the fit is very nice. 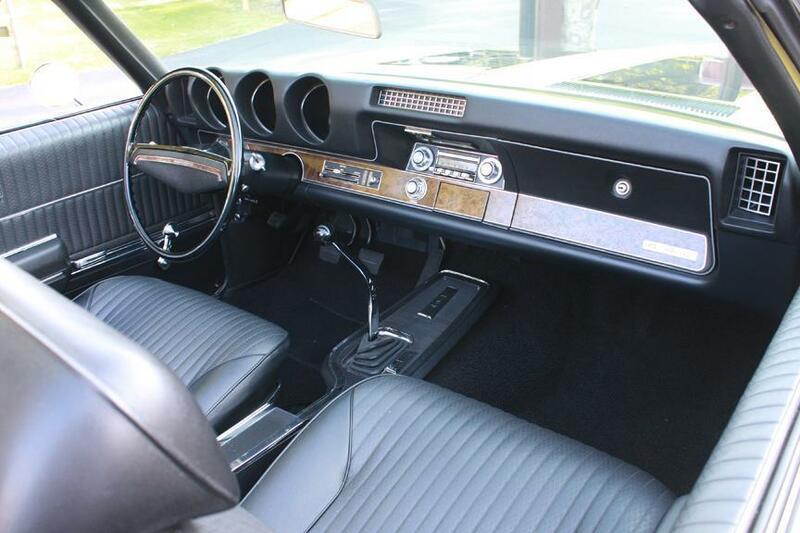 Inside, all pieces were replaced with new components or restored, and the gauges are stunning, while the detailing in the engine compartment is beautiful. 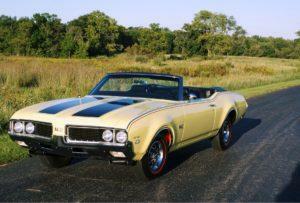 Milt Robson purchased the Oldsmobile in its fully restored condition at auction in 2008. 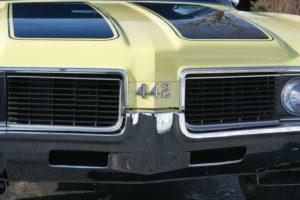 It came with extensive documentation, something Milton required with nearly all of his vehicles, especially those such as this car, given the rarity of its original delivery configuration. 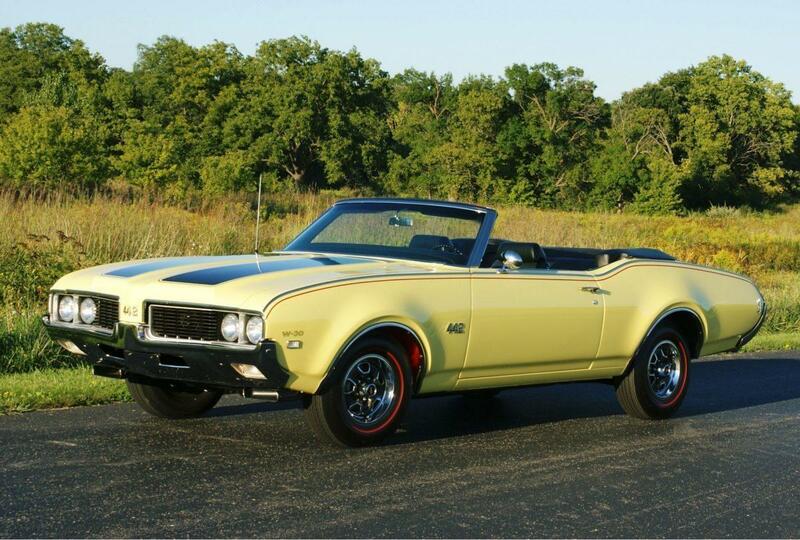 Oldsmobile produced 4-4-2’s 4296 convertibles in 1969, 121 with the W-30 upgrade only 91 of which had four-speed transmissions. Like most vehicles that regularly appear on enthusiasts’ “Best of” lists, the Oldsmobile 4-4-2 with W-30 package was created and sold to the public in limited numbers to get an ultra-performance engine approved for motorsports competition. When Pontiac took its Tempest Le Mans-based 394 cu. in. 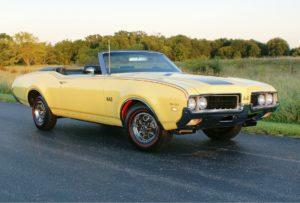 V-8 GTO to market in 1964, the industry hurried to transform other mid-size products into muscle cars. 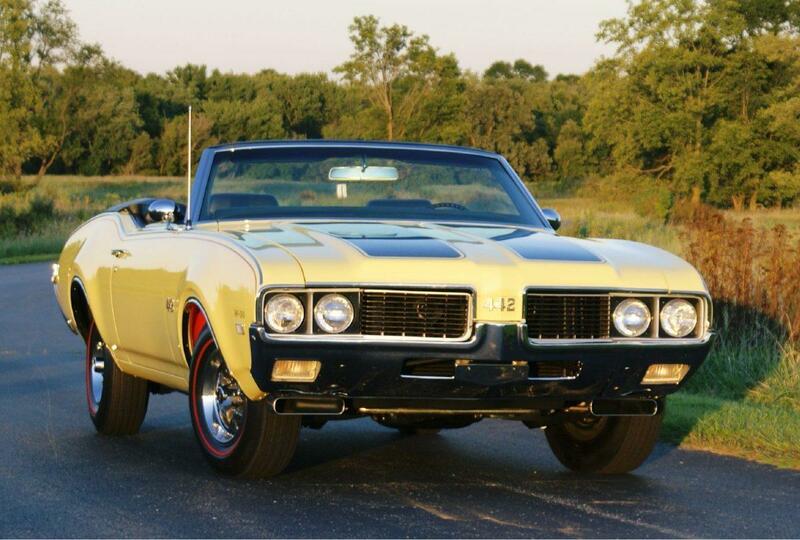 Pontiac’s sister division, Oldsmobile, countered the GTO threat with a mid-year package on its F-85/Cutlass known as the 4-4-2 – shorthand for four-barrel carburetor, four-speed manual transmission and dual exhausts. 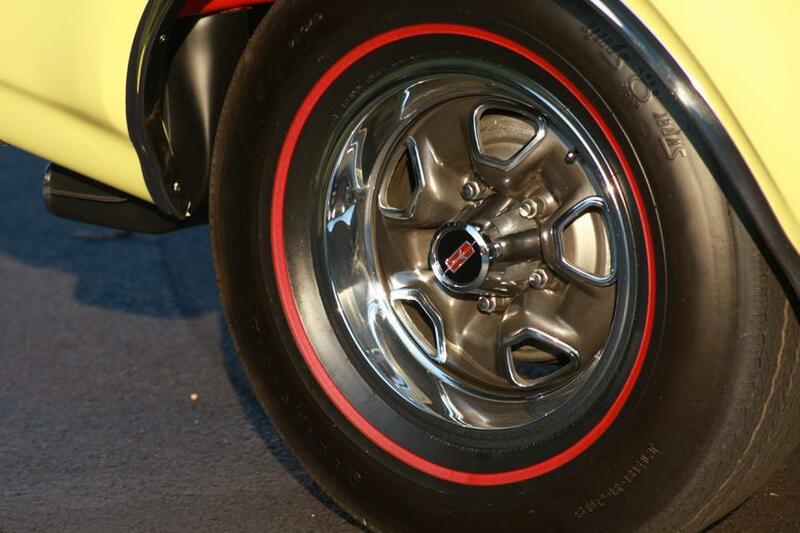 To get more power from its 330-cu. in. 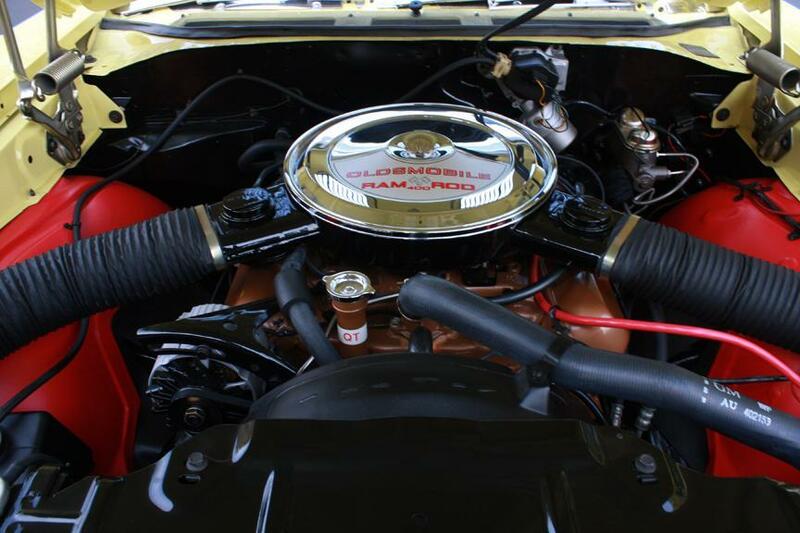 Jetfire Rocket V-8, which produced 210 horsepower in two-barrel form, Olds applied the Police Apprehender package (RPO BO9), which included a four-barrel carburetor, high-compression pistons, a sportier camshaft and a twin-snorkel air cleaner. This modification resulted in 310 horsepower and 355 lb-ft of torque. 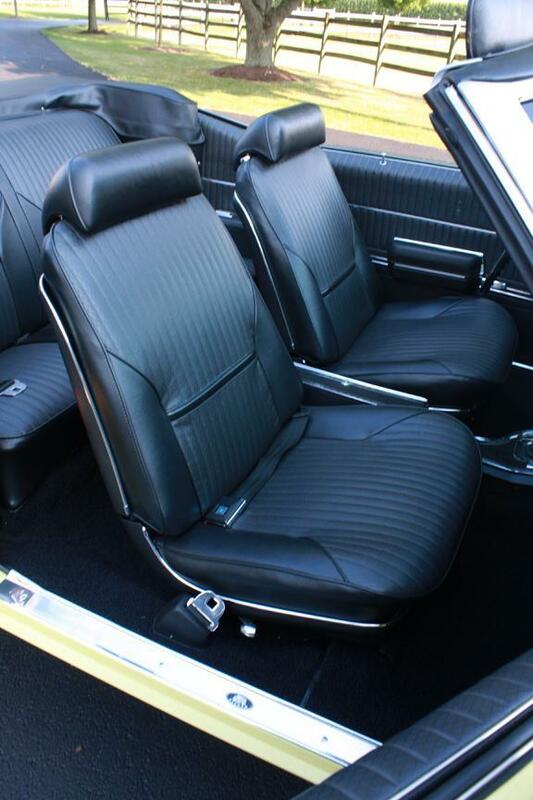 The rest of the $285.14 4-4-2 package, which could be ordered on any F-85 or Cutlass except the station wagon, included a beefed-up suspension and police-duty brakes. 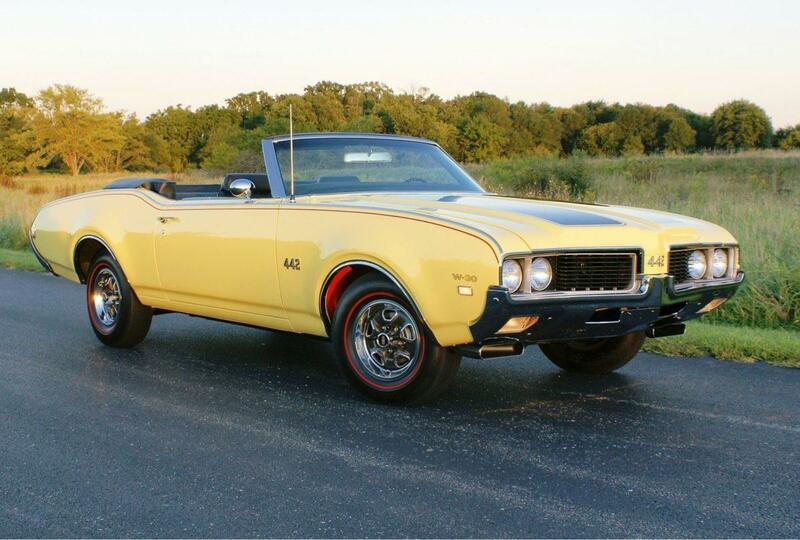 By 1966, the 4-4-2 was a popular player in the muscle car arena, but Oldsmobile wanted it to be a serious NHRA drag racer as well. In June of that year, Olds enhanced 54 4-4-2s with a new W-30 Force-Air Induction system that breathed through three two-barrel carburetors. Other additions in the $279 W-30 list included fresh air intakes in the front bumper, a radical camshaft and different valve sizes. 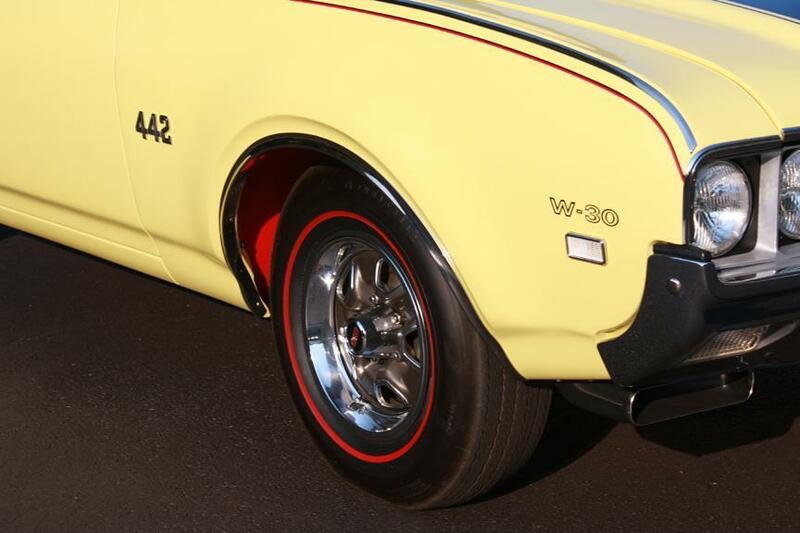 The improved 4-4-2s covered the standing quarter-mile in 13.8 seconds at 105.2 miles per hour. 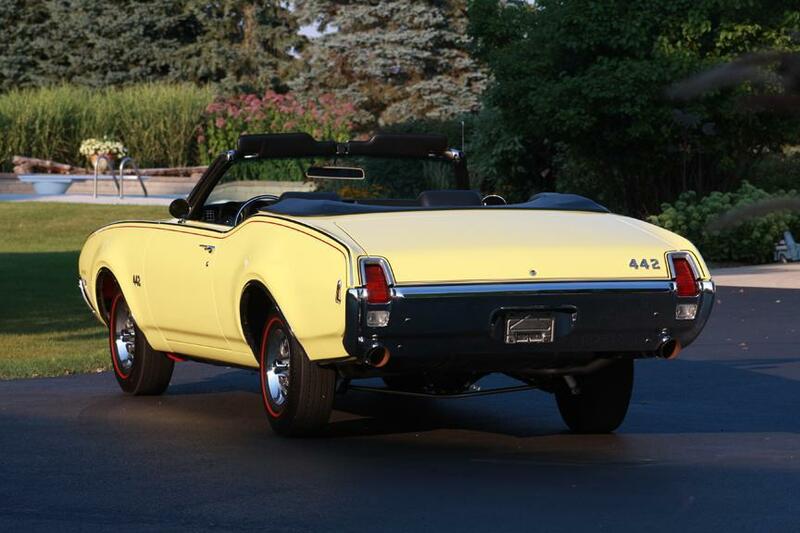 By the time this Saffron Yellow four-speed convertible was built in 1969, the 4-4-2 had become its own series with a 400-cu. in., 350-hp V-8 sporting a single four-barrel carburetor. 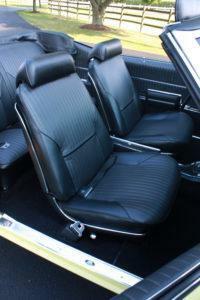 (GM restricted the use of multiple carburetors in its passenger cars as of 1967.) Adding the $263.30 W-30 package, with its under-bumper air intakes, increased output to 360 horsepower at 5,400 rpm and 440 lb-ft of torque at 3,600 rpm.